Seven Archangels, who live as humans unaware of their heavenly identities, suffer shocking fates and are thrust into the battle between good and evil. The fate of mankind rests in their hands but they have forgotten their centuries of knowledge and skills. They resent the re-training they must endure and the responsibility for the fate of the world that they did not ask for. They walk the earth they once knew well but their human lives have been wiped out as if they never existed. They now live as supernatural beings that must learn to fight for the future of the world, until their memories and abilities return. They must re-learn mind speak, transporting, shape shifting, time travel, and unity power. They soon remember what they are up against when evil matches their powers in unbelievable battles of mind and force. But will they be strong enough to fight their brother, the fallen angel, and the four Horsemen of Apocalypse who have awakened and rage with war, pestilence, famine and death toward the annihilation of the world? Can the Angels meet the heavenly challenge to save mankind, or will the forces of evil win and the prophecy of destruction prevail? Really amazing book. Gotian has to be by far my favorite out of all the angels! Because I was a fan of the TV series before the books I was anxious to get my hands on the books. I’ve not been disappointed and am anxiously awaiting the next one and the next and…. The book transported you into the shoes of of the characters as they go through life. Could not put the book down, a must read! Thanks Helen! The support means a lot. Kiss the little princess for me. Amazed you found time to read, with your busy schedule. Keep it going strong! Really cool!!! Props! And love the graphics!!! Really like the premise of the story. I don’t quite understand where it is headed. I like the characters, but sometimes had to go back to read again their story. It took me almost a year to get the book The Loathing, I am not into horror books. It wasn’t that at all. It had some interesting views on history, I will be interested how the book will continue. The homies new book! Check it out! Support this awesome author!!!! Great Book! Are these angels the original angels like in The Prophecy with Christopher Walken? Yes I was and am a fan of The Prophecy with C. Walken. I would say, I was influenced by that movie. Interesting. Thanks for reading. I liked reading the loathing, i have downloaded origin. creepy kid on the cover. Who cares what people think (referring to your Quirky page)? People are always looking for the bad. Good news still has a place, at least that’s what I look for. Good luck. I am reading the book. Oh! Why do you chew ice? Read and enjoyed both books. Liked the way Origin filled in the blanks with the Prologue. Good work by author Araujo. Is The Loathing available at any book store? I hear there’s some footage of this story! Thanks for the copy of hour book, I like supernatural stuff. It was nice to meet you. Good luck on your tour. Thanks for selecting our hotel. Will there be a third book? I was wondering if you got your inspiration from left behind? Some elements are similar, but this novel is not very religious. Was this purposeful? Hey, Signorina will you ever get to Canada on a book tour? Be nice to see you up here. Too bad you didn’t stop on your way to Alaska. Vancouver is beautiful this time of year. Fancy meeting you like meant to be this morning, holding our fates forth like spreading wings. I want to read about your seven angels who return to ancient ways so as to find the way ahead. I am happy to meet you, like me, a writer, and very impressed by what I have already read.on your website. Some of my music is written for muse angels. I have known a few. Your music is wonderful. Piano just beautiful. Thank you for introducing me to your amazing talent. Please stay intouch. I hope both our angels inspire. The books are amazing! As a fan of the TV series, the book series just feeds my hunger for the story. I cannot wait for more to come! Yvette is an excellent writer. Kudos to you and your awesome book series. I will be recommending these books to my friends. I remember the tv series. And now I got a chance to get both books. Everything is just awesome! I can’t wait for the next book and I hope the tv series will be back soon. Can I get these books on kindle? I looked at Amazon and I only see book one. The first 2 books were awesome. Please Yvette, give us the next book! Love the books! Keep up the good work! Yvette, you are a seriously great writer! I love the first 2 books and look forward to the rest of.the series. Such a wonderfully talented writer. I loved the first two books and I can’t wait for the third book. Yvette is such a blessing. This was available as a TV series? Is it on youtube? Can anybody please contact me and let me know. What was the name of this? When it was on TV? 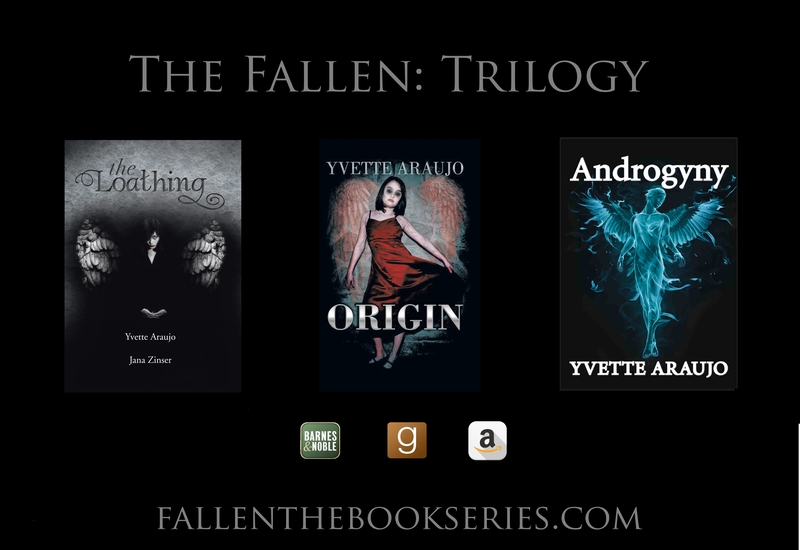 I can’t wait to read that book about the fallen angels! Thank you so much for the support! Your words are empowering and inspiring. Thank you for you generosity. Have a blessed Easter!